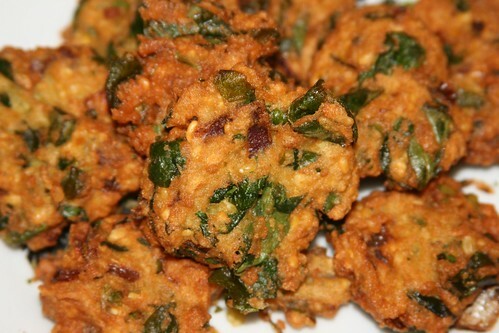 Palak Garalu, originally uploaded by ShashiBellamkonda. Mix the ingredients together make them into balls and then flatten them and deep fry in hot oil. This was really fantastic for a nice Snowy cold day visiting relatives in Boston.